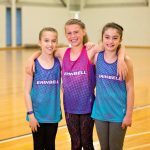 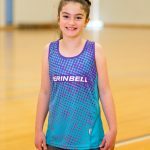 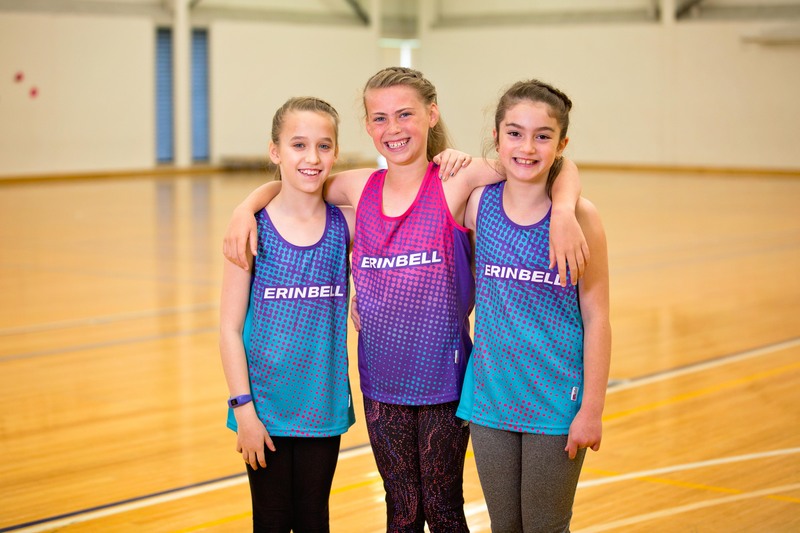 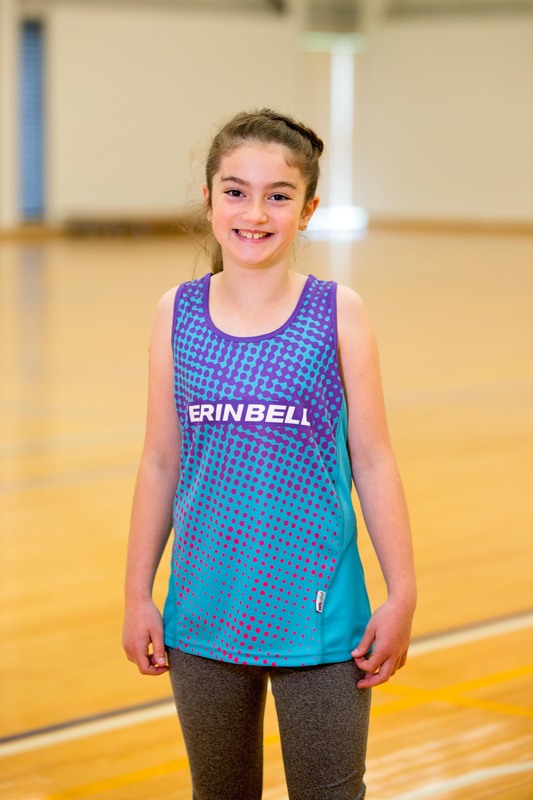 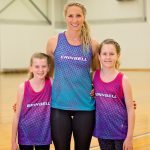 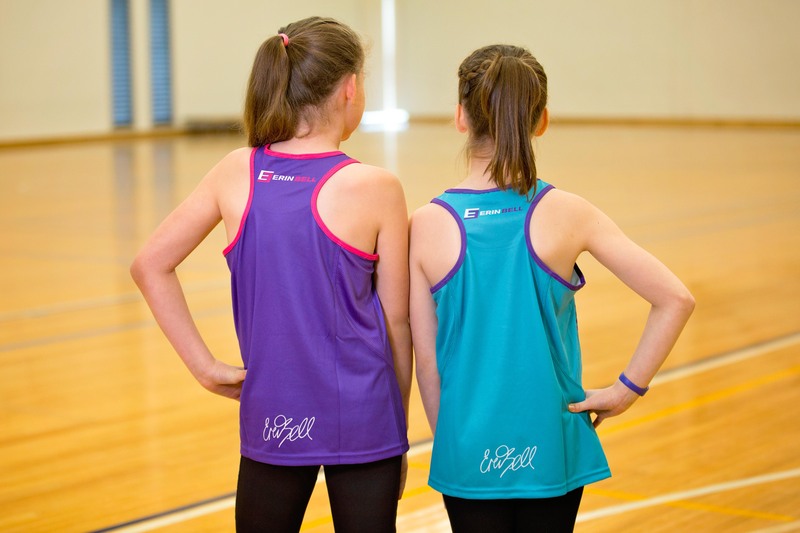 Be sure to turn heads at netball training when you rock up in this bright and colourful athletic singlet. 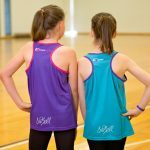 Breathable for those hot sweaty training nights, this singlet ensures the functionality of a proper training singlet but without sacrificing the look. 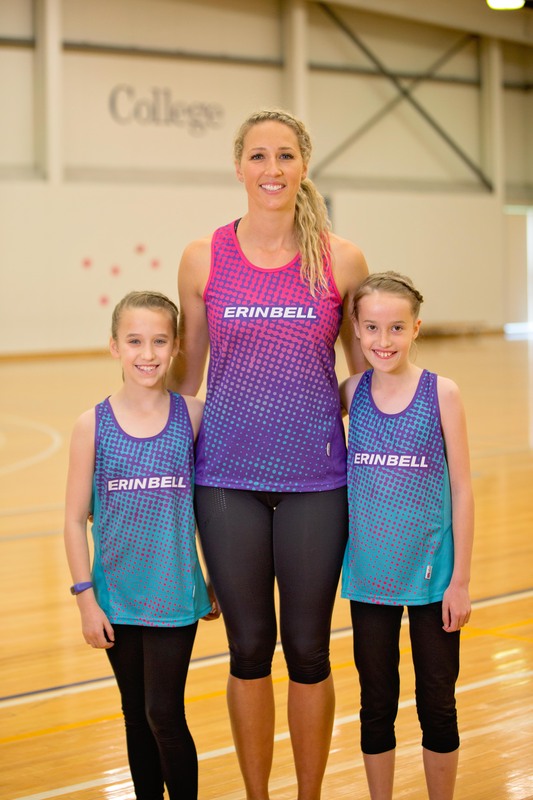 Erin's favourite colours, Pink, Purple and Teal, make up the fun patterns on these singlets.